There are more and more GoPro dome products popping up, you will have read about the budget friendly SWG dome on Kickstarter, and you might have seen my videos on the SPL GoPro Dome and the KNEKT KSD6 GoPro Dome. What is the GoPro Dome? A dome is already a very common accessory in the world of Surf photography, it is typically used to get incredible photos where you can see the underwater landscape and the external landscape, giving you the impression of being in a huge aquarium! 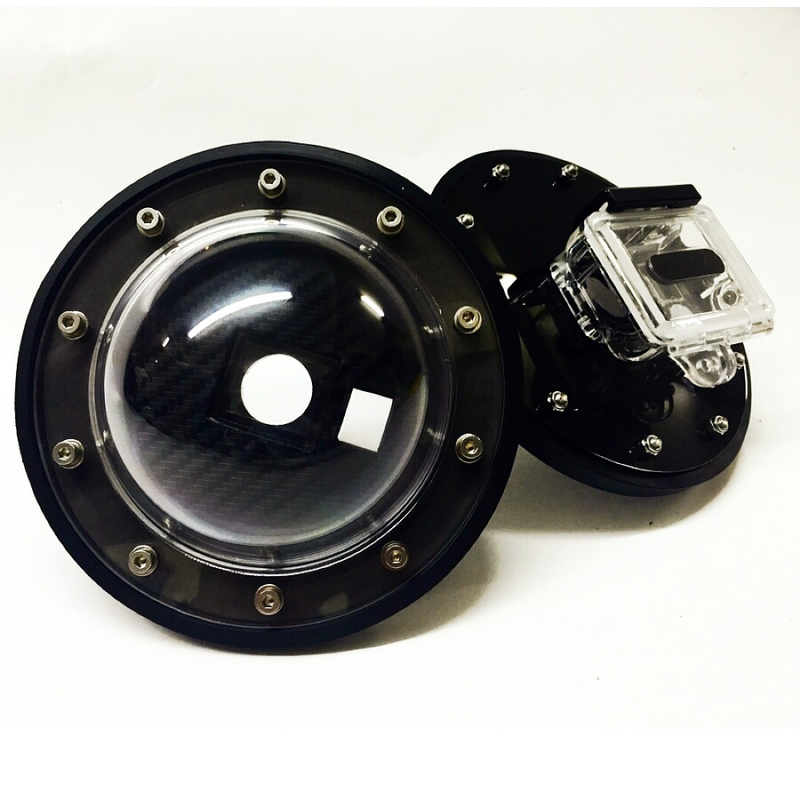 Our Dome is 4″ in size and is compatible with the GoPro Hero 3 , 3+ Hero , Hero 4 cameras. It costs R$ 339, which is about $100, and that includes the GoPro case as far as I can tell, so you get everything you need to get going. I can’t tell if you have control over the front button or not, I don’t think so based on the photo’s, so that’s one downside to this budget dome. It’s also permanently attached to the housing as far as I can tell, so if it leaks it will be a lot harder to get it working again I think. Which GoPro dome should I choose? There are a few more choices available now than the last time I made a recommendation, I’ve used the SPL and KNEKT products myself and I prefer the KNEKT, but hopefully I’ll get the chance to compare all the options fully soon. Until I get my hands on one of the newer budget friendly options I’m still recommending the KNEKT KSD6 dome, it’s a great piece of kit and will take your GoPro photography places you can’t go otherwise. If you’re in Brazil and you don’t mind a couple of compromises the Amigopro GoPro dome could be a good option for you.